Bonfires and pumpkins and pansies, oh my! Fall has finally arrived which means winter is in the not-to-distant future. As the temperatures start dropping and leaves start falling, set aside a sunny autumn afternoon to spend in your garden. That’s right: it’s time to mulch! 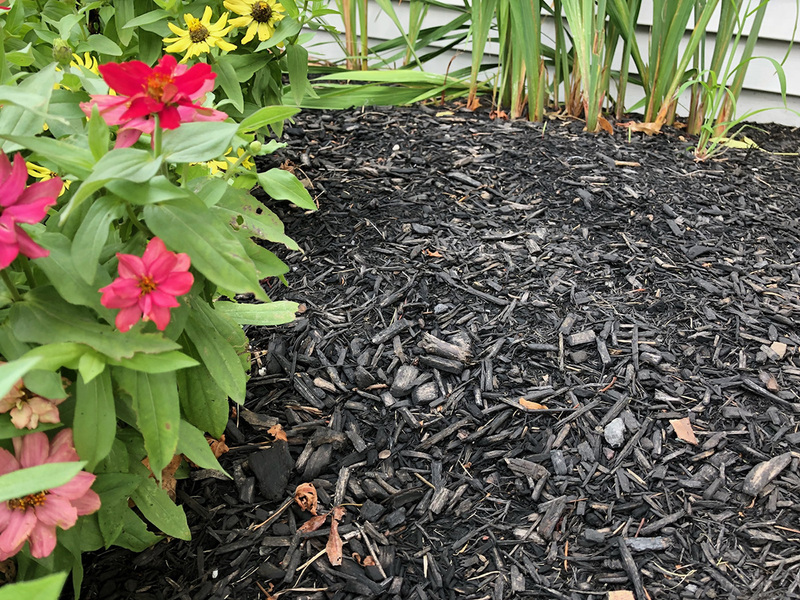 Mulch can either be organic–pine needles, shredded bark, straw, wood chips, composted leaves, or grass clippings– or inorganic–plastic sheeting, rocks, or rubber chips– material that is spread across the top of your garden soil. Why should I add mulch to my garden? Buffalo winters are notoriously wet and cold, so you want to protect your garden as much as possible during winter’s freeze-thaw cycles. Mulching around your plants helps to conserve moisture, suppress weed growth, protect bare soil against erosion, insulate your plant roots, and resist insects. And as mulch breaks down, it provides nutrients to your soil for your plants, giving you healthier soil for your spring planting. For fall mulch, the best time to lay it down is after the first hard frost. Cut back your plants and clear the garden bed of any excess organic material. If you apply mulch too early in the season, it may delay the freezing process by allowing your soil to retain additional heat. Where should I put it and how much should I use? Your garden will need plenty of mulch to get your garden through the winter, so don’t skimp. Spread your mulch around trees, shrubs, and throughout your garden bed. Try to leave a thick layer about 3 to 4 inches deep. When applying mulch to the base of your trees, avoid creating a “dome” by leaving a ring of mulch-free space. This will prevent too much moisture from collecting at the base, which can lead to disease or decay. The mulched area should extend four to five feet around the base of your trees. Get ready for the fall season by taking a trip to Bengert Greenhouses. Not only will you find beautiful fall blooms, but you will also find everything you need to prep your garden for winter. We proudly offer mulching services in addition to our wide of plants, all of which are grown locally in our West Seneca greenhouses. Contact us today to learn more!